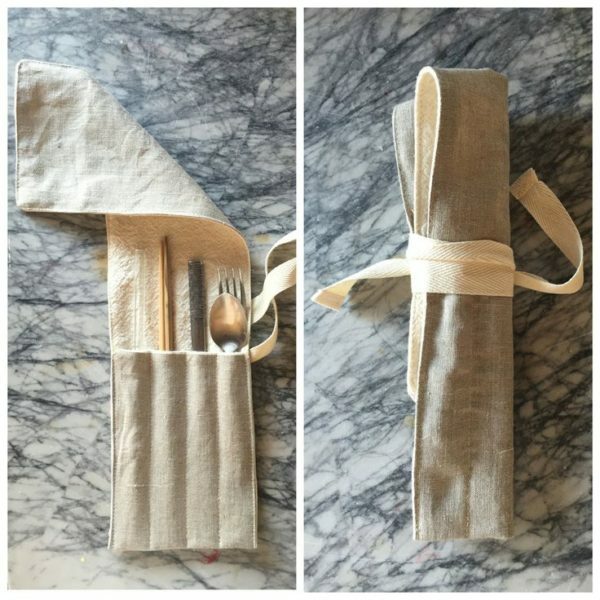 The utensil roll is one of my personal favorites. 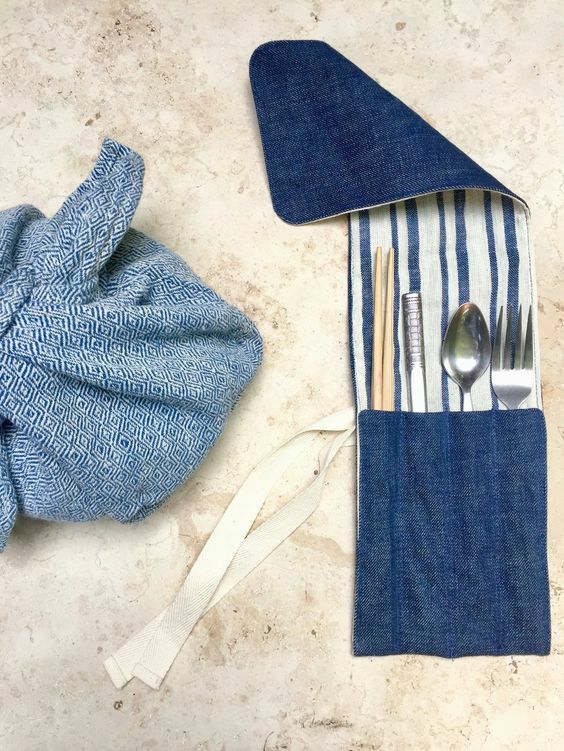 It’s a beautiful way to carry your utensils in your bag or coat pocket. 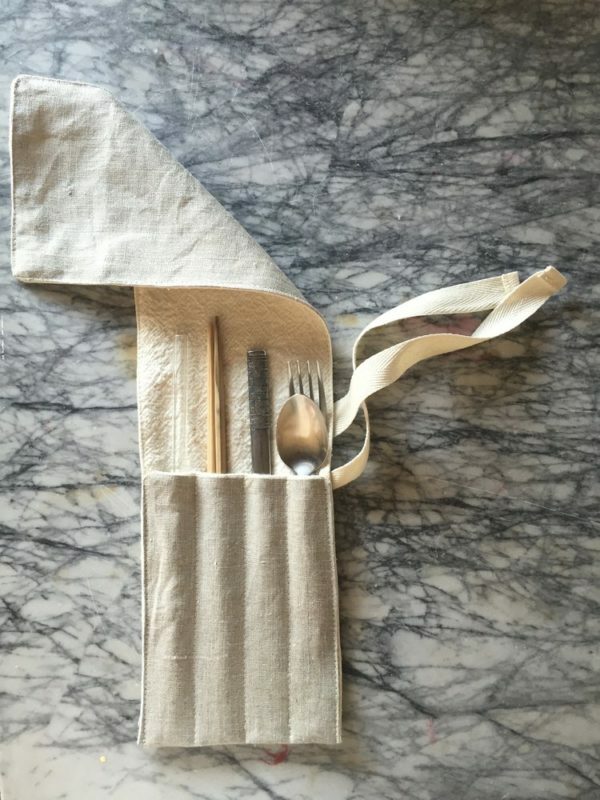 It has room for a fork, knife, and spoon, a glass straw or chopsticks. 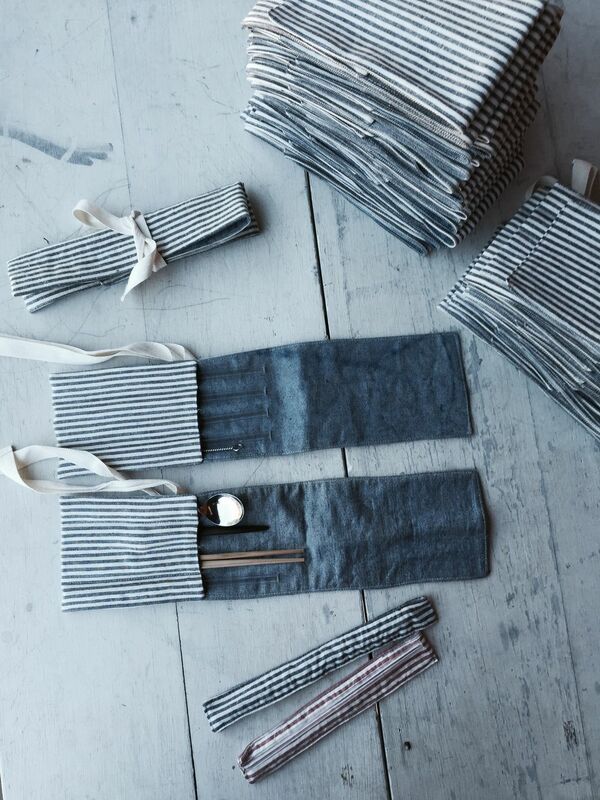 Of course, you can use it for your favorite pens or knitting needles. 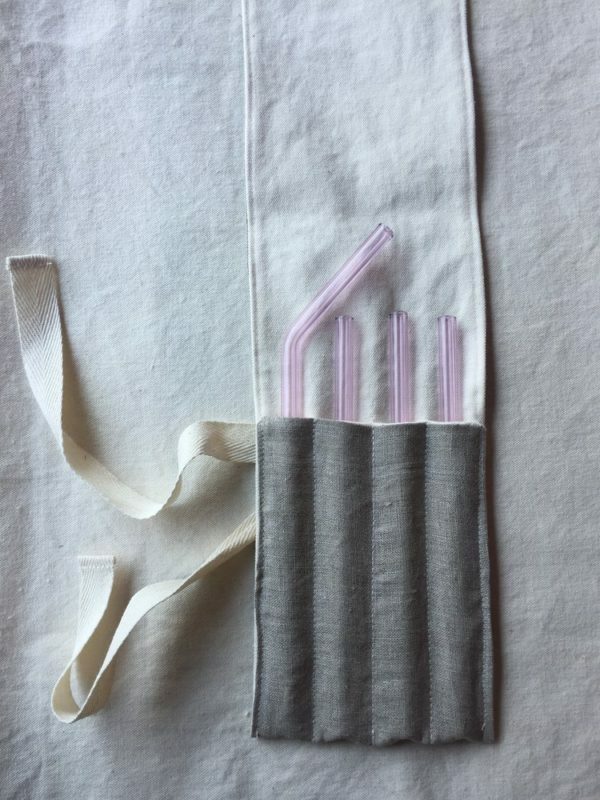 Ready for anything – No thank you, single-use disposables. 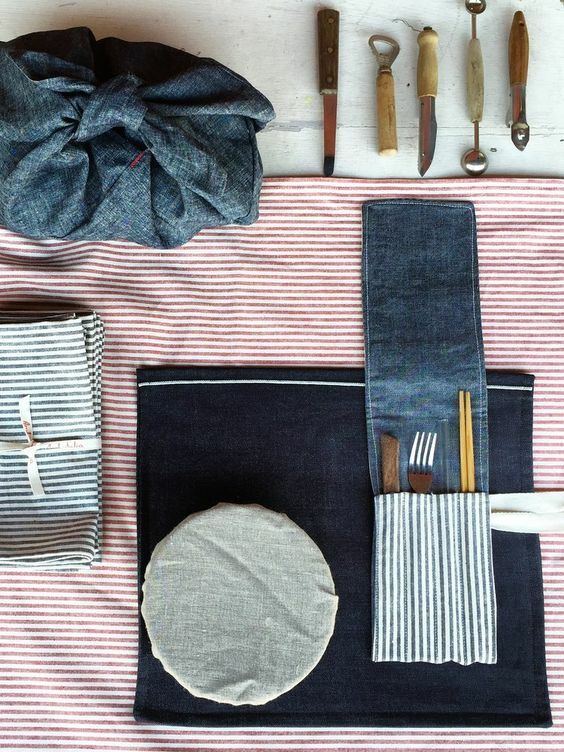 These utensil rolls are made out of mostly scraps- the denim is always reclaimed and intended to inspire using your own, or thrifted utensils. One of the best ways to use what is already on this planet. 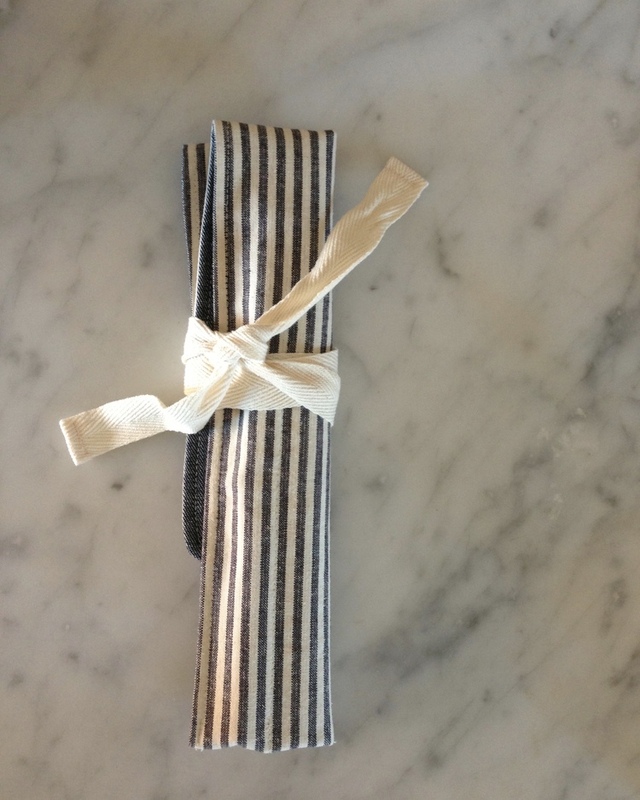 Measurements: 18″ long, 4.75″ wide, fold length is flexible from 9″ up to 12″. There are 4 sections for utensils or tools. CARE: We recommend cold water wash and line dry for the conservation of our environment and fabric longevity. 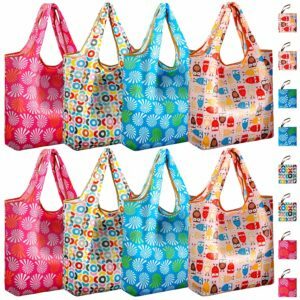 We don’t use any plastic in the shipping of our products and use at least 80% post consumer paper in any promotional and shipping materials.